A majority of the employers require every member of their organization to observe and adhere to the company policy at all times. No matter what your business is, having a well-defined company policy helps employee have a clear overview of the things that are expected from them. However, there are times when employees become too lax with the company rules and regulations. If the HR department fails to address this as soon as possible, it will potentially cause a negative impact on the productivity of the organization. Aside from a diligence and hard work, a spotless attendance is perhaps one of the most crucial attributes that employers look for in an employee. Oftentimes, the company policy stipulates that the employees working in the organization should diligently perform their assigned duties and responsibilities. 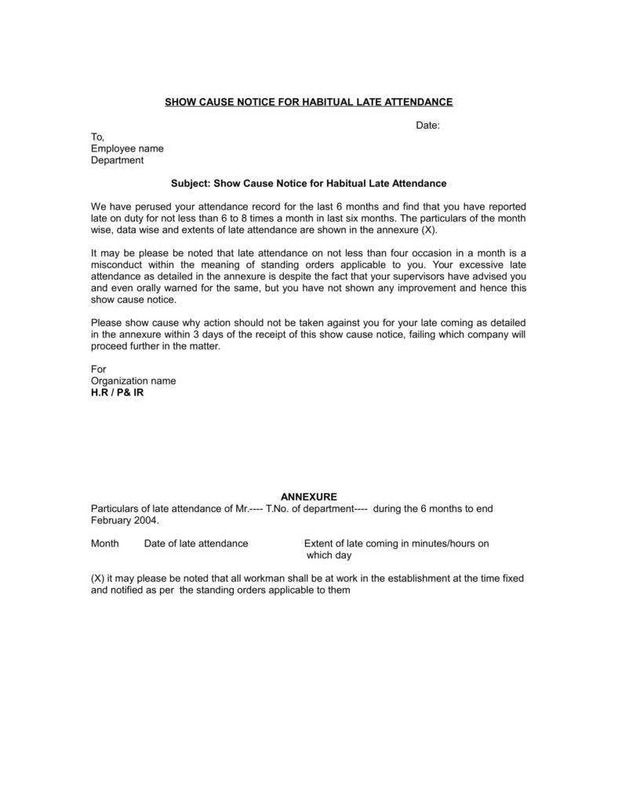 So when you have an employee who has an attendance issue, it can potentially affect the overall operation and productivity of the department where he or she is assigned. 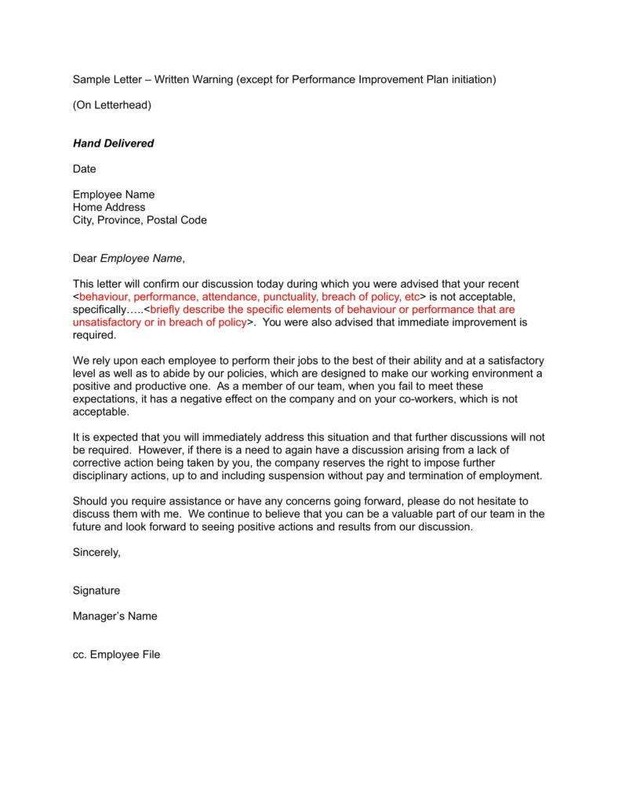 To control the problem, you need to send her an attendance warning letter to inform the said employee that his or her actions are unacceptable and not tolerated by the company. Punctuality is perhaps one of the most common issues in the workplace. According to an article about tardiness that is published in Wikipedia.com, it is defined as “a habit of being late or delaying arrival”. It can be considered as a form of misconduct is not tolerated and can be formally punishable in workplace or schools. However, if the issue for tardiness is minor and forgivable, the HR manager cannot use it as a reason for dismissal. 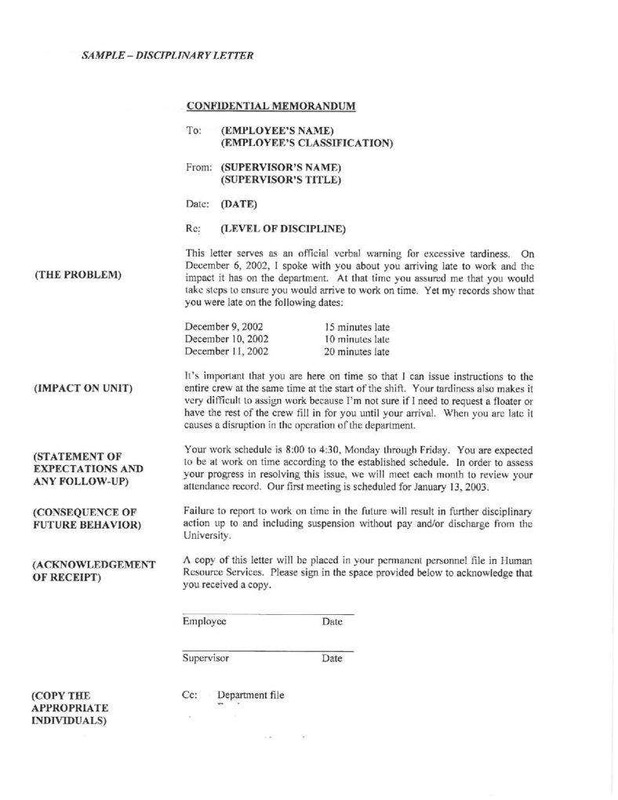 However, there are some instances where the employee will be asked to fill out an employee discipline form. Rationalizer – This type of tardy person is known for its inability to admit to his or her habitual tardiness. They often claim that they are only late occasionally, and only for a few minutes. These type of people have difficulty admitting their mistakes, as well as responsibilities. Their common reasons for tardiness include kids, traffic jams, etc. Producer – Also known as “magic thinkers,” the producer is the type of person who looks forward to accomplishing as many tasks in as little time as possible. Deadliner – This adrenaline junkie sub-consciously enjoys rushing his tasks at the last minute. Imagine someone who is racing to the finish line at the last minute. I do not know about these type of people but the sense of urgency seemed to excite these them. Indulger – The indulger is known to procrastinate and has difficulty with self-motivation. This type of people are also known for its lack of discipline, not only in punctuality but in other areas in their life, and inability to make sacrifices. Rebel – This type of tardy person is known to break the everyday rules in the company. For them, tardiness is a form of rebellion that shows resisting authority that makes them feel powerful and special. Evader – This type of late person is known for its low level of self-esteem and high level of anxiety. Due to these overwhelming feeling, it can be difficult for them to control the environment around them. They constantly feel the need to make himself and the surrounding perfect to make him feel less anxious and boost his self-esteem. Whether the employee is late because of heavy traffic, sending your kids to school, or heavy rain, it is important to understand that coming late to work every day can be detrimental not only to the company, but he or she is also putting their career at risk. 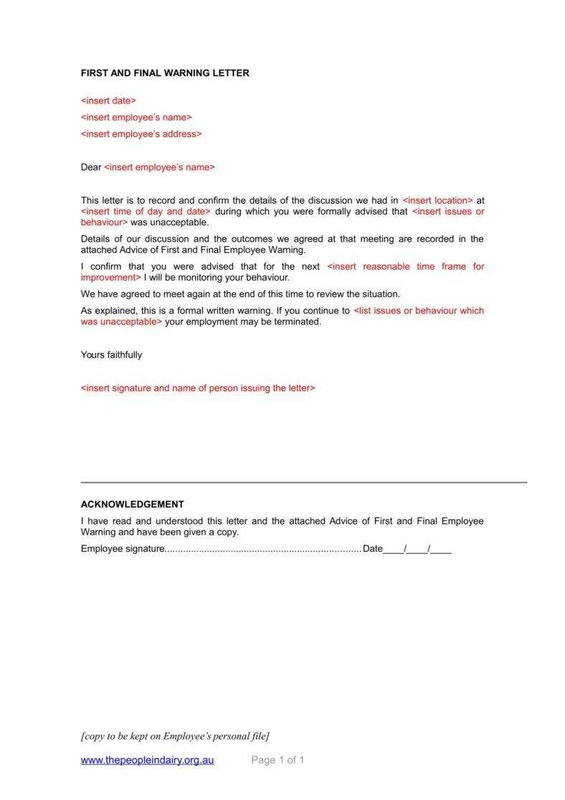 Since we have already mentioned that coming to work on time is one of the conditions stated in the contract, the employee is legally bound to uphold the agreement at all times while he continues to work in the company. And while it is understandable that there are certain instances when an unexpected circumstances pop up occasionally and cause an employee to be late, the problem often arises when the employee makes tardiness habitual. You may have a wall or alarm clock at home or wristwatch and cell phone with you all the time to help you keep track of time, there are certain instances when family demands can be a contributing factor in chronic tardiness. This is especially true for single parents who have to take care, dress, feed and bring their children to school during weekends. No matter how early you would wake up each day, anything can potentially go awry, such as finding a lost shoe, clogged toilet or sink or a when one of their children is having a tantrum early in the morning. How you plan to schedule your chores can immediately go out of the plan. Having and attending to an emergency from time to time can result in lateness. Although the occurrence of family emergencies, car accidents, or poor weather are factors that cannot be controlled, it is advisable for the employee to notify their immediate as soon as possible. Calling to let them know about the emergency is a sign of courtesy and responsibility. However, if the employee has failed to notify the supervisor and that the employee has not yet arrived in the workplace, the supervisor should call to ask how they are doing, and remind the employee to always call and notify from now on. 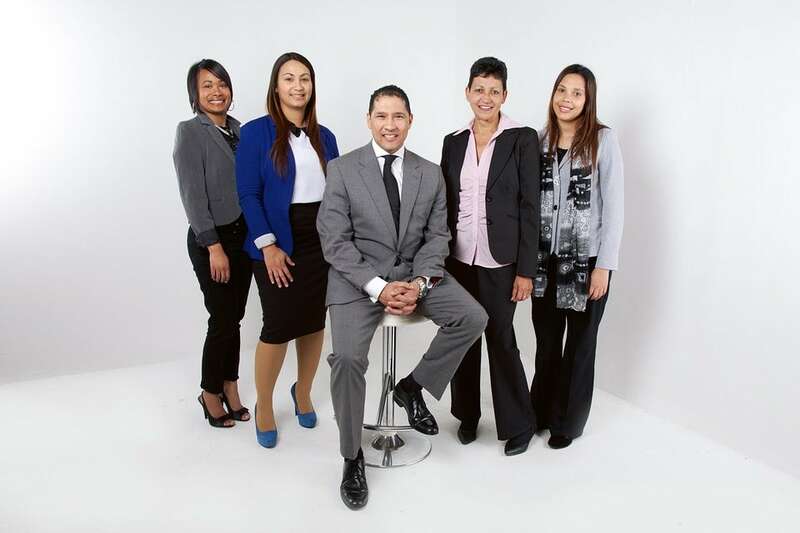 When an employee has a low morale, it can potentially spell disaster for your business. It is believed that stress is combined with low salary, poor treatment, and tough productivity demands, it can result in lower morale. So when your employees have low morale, they are more likely to come to the office late. Moreover, the adversity of the working condition can even push them away and find another company to offer their services. If they no longer appreciate their job or the company, they show their discontentment and display poor performance. Promoting a punctual culture in your company is a great way to discourage your employees from coming to the office late. Some companies offer rewards for punctual employees as it encourages them to arrive on time. Most often, it is the company’s choice to either present punctual employees with certificates and monetary incentives. When a company does not encourage a punctual culture, your employees may think that punctuality is not important and acknowledged in the organization. While it is inevitable that there are times when an employee fails to report to work, absenteeism remains to be one of the most common issues in the workplace. 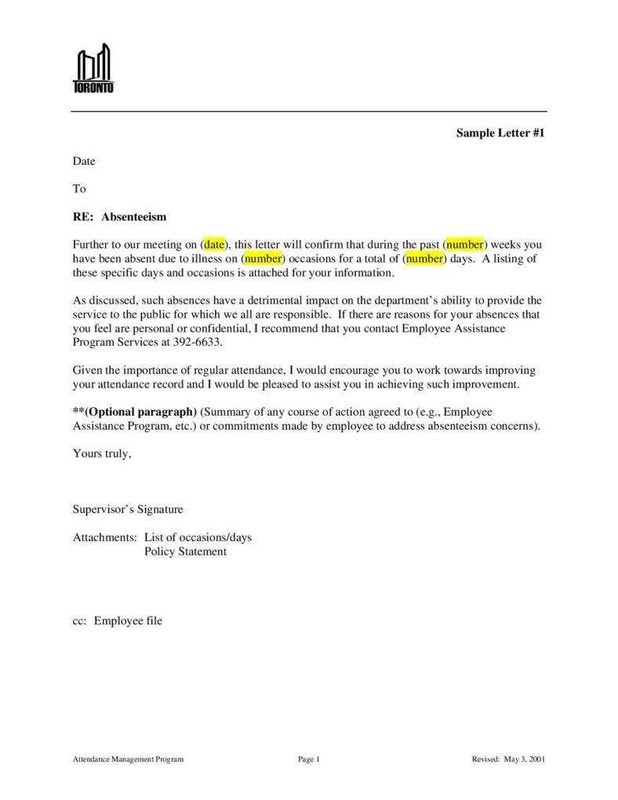 According to an article that is published at the Wikipedia.com, “absenteeism is a habitual pattern of absence from a duty or obligation. Traditionally, absenteeism has been viewed as an indicator of poor individual performance, as well as a breach of an implicit contract between employee and employer it was seen as a management problem and framed in economic or quasi-economic terms”. As an employer or HR manager, you need to understand that it is quite normal for employees to take their time off from work for a couple of days. Since the employees can benefit from a paid leave, which is often times one of the benefits that the employees can enjoy while working in the company, it can only be approved if he or she can provide the HR manager with a valid reason or approved under circumstances. Not showing up at the office for a number of days without a valid reason can be considered as absenteeism. While absenteeism is considered to be an employee issue, there are new studies that revealed how absenteeism can be a sign of a larger employer-based issue. Whether it is true or untrue, it is important to address this type of problem as soon as possible to save yourself from potential future headache. Flexibility in the workplace is a great way to allow employees to manage their time schedules that work for them. That is there are a lot of companies nowadays that offer employees a flexible schedule to let them choose their schedule. This is a great approach to prevent employees from purposely coming in late or being not able to come to work due to unexpected circumstances or emergencies. Stress is often the number one factor for absenteeism in the workplace. When you expose your employees to a high level of stress by demanding high daily quota from them, there is a tendency the stress can result in poor health and poor morale. Moreover, employees who are under extreme stress are more likely quit the job without even giving the company a resignation notice. When the manager is not able to address the stress issues in the workplace, there is a high risk that this problem can result in burnout. So, if you have an employee who works too hard to achieve his or her daily quota or goals, then it is crucial to identify and evaluate the whole situation before the whole thing can lead to burnout. To prevent potential burnout, make sure to monitor employees who are known to work late or take extra shift before they crash. Obviously, employees do not want to come in an office with a harsh work environment, especially when the employees and management do not work do not have a good and harmonious relationship. In order to uphold and maintain good employee morale in your workplace, it is vital that you should treat your employee with utmost respect, as well as make them feel that they are included in making decisions since they are considered to be the backbone of your business. Another great way to boost employee morale is by having fun events in the workplace. This is one of the most common reasons given by employees with an attendance problem. Family issues can be a prominent absenteeism reason especially if both parents are shift workers who still need to supervise their children and take care of the elders. Employees with engagement or motivation issues are more likely have a lot of alibis not to report for work often. While there are varying causes of disengagement, the most common ones are the lack of respect for the management or the management does not appreciate or respect their employees, the lack of flexibility in the workplace or because employees find themselves in the wrong position. We all know that absenteeism and tardiness can detrimental effects on both the well-being of the employee’s career and the organization. No matter what the reason of the employee for his or her attendance issues, it is no secret that tardiness and absenteeism are both resoundingly negative. Obviously, an employee who is frequently absent or late has a lower productivity level because they have less time in the workplace. Although you can just assign someone to fill in and perform the duties of an absent or late employee, this may not always work especially for highly specialized positions. When absenteeism and chronic tardiness remains to be unmanageable, the HR manager may be forced to let go of the employee and hire someone to replace him in his position. As we all know, the process of recruiting a new employee can be expensive and not to mention the shortage of staff can force the management to offer overtime just to ensure that the daily level of productivity is achieved. Each department in the company has a required quota that needs to be accomplished at the end of the shift. So when one of the department members has attendance problems, it can potentially create tension between the whole team because absenteeism and tardiness can have a huge and negative effect on the department’s production schedule. That is why the department members are forced to make modifications to the schedule to be able to meet the daily targets. It is a given that employees may take some time off or running late to work, but it is important to make sure that they do not exceed the limited times of tardiness and absences. In the case when an employee continues to display poor attendance, then here are the necessary steps to take to control the problem. When you want to warn the employee about his or her poor attendance issues, you can choose to send him or her an email or summon the employee to your office to talk privately as you do not want to cause embarrassment in front of their colleagues. Inform him about your concerns over the number of his tardiness absences and do not forget to remind him about the company policy. Make sure to have a corrective action plan ready to help improve solve his attendance issues. Take time to listen and understand his reason but you need to firm and give him a time period to improve his attendance. Make sure to record the meeting and consider it as a form of verbal warning. A second meeting is usually required when the attendance issues of the employee remain to persist. 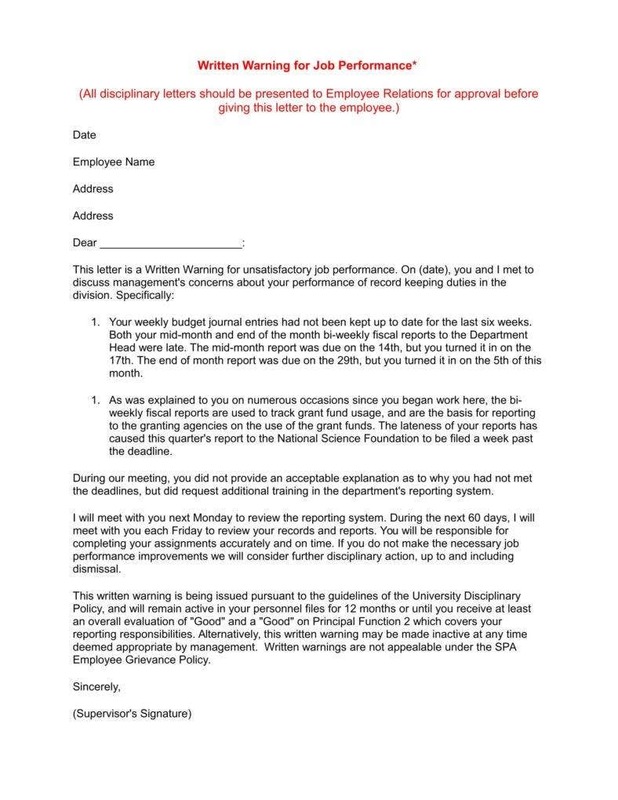 When writing a first warning letter, you should make sure to include the purpose of the letter and prepare to discuss to the employee the reasons and the implications. Inform the employee about possible suspension or termination if he or she fails to address and improve the attendance issues. It is important to make the employee understand how his or her attendance issues are affecting the productivity of the department where he belongs, as well as the company. Do not forget to document what has transpired during the meeting and consider it as a written warning. 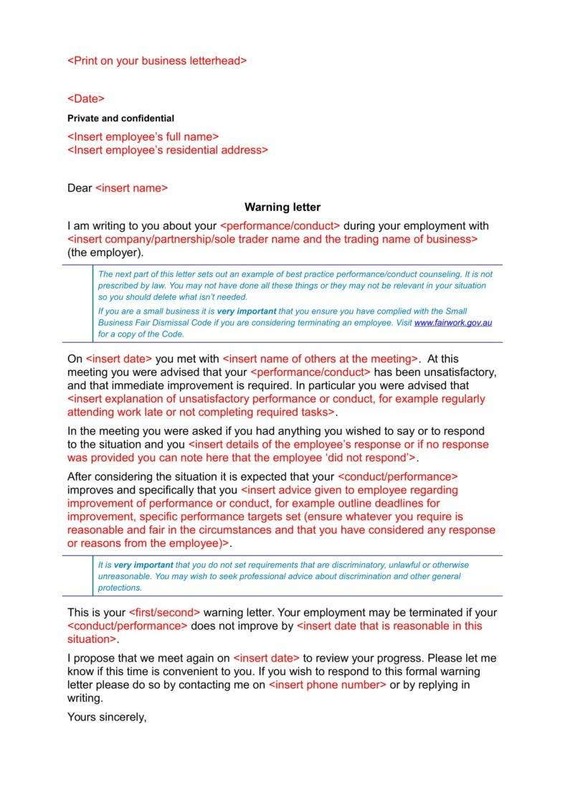 A final warning letter is sent if the employee still continues to fail to make no improvement. The HR manager will decide on the step to be done to deal with the problem. A second meeting is set up between the HR manager and the erring employee. Evaluate the reasons given by the employee and inform them of the step that they will take if no improvement is made to solve the problem. Discuss the possible consequences with the employee’s immediate head or supervisor. A temporary suspension without pay is often imposed on the employee with persistent attendance. 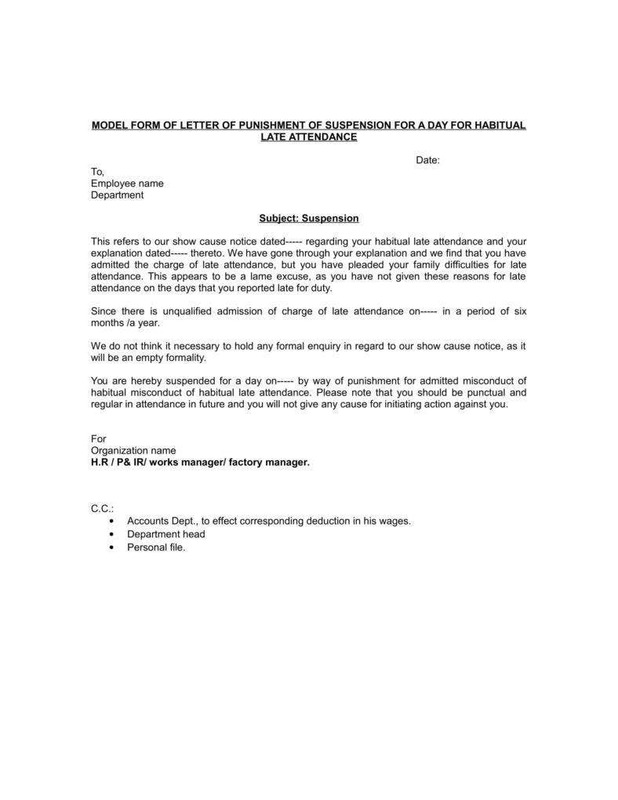 The letter should clearly indicate the number of days, including the starting and ending dates of the suspension. 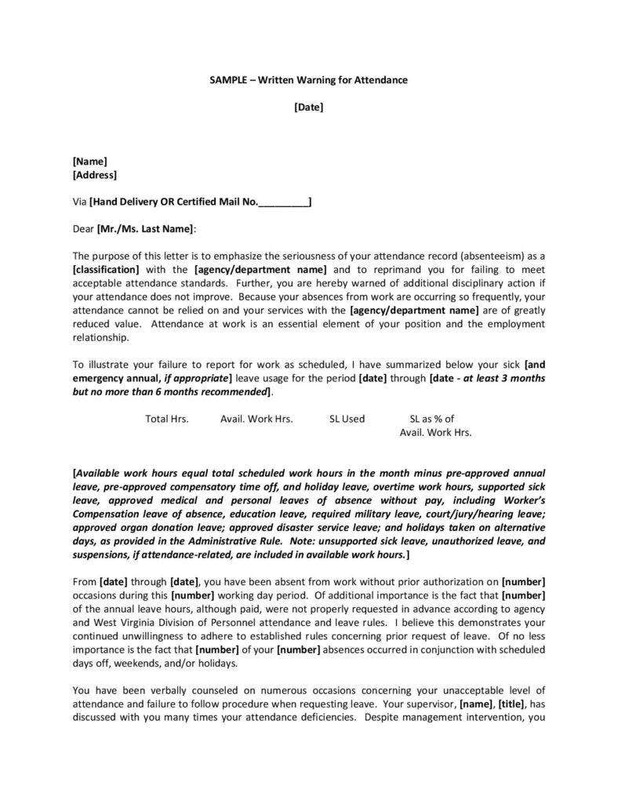 It is extremely crucial to always keep the documented meetings with complete details as this will be essentially needed if the employee will file a lawsuit against your company in the court. Tardiness and absenteeism can cost the company a lot of money that is why it is important to control and manage the problem as soon as possible. Because missed or delayed work can have a negative effect on the company financial, the management team should implement an effective HR strategy to monitor and address any attendance issues.